About 170 people a year are killed in Drunk-Driving Accidents in Maryland. Bowie drunk-driving car accident lawyers, George and Maria Patterson have litigated over a hundred cases involving allegations that the driver was intoxicated. Maria Patterson also defends those charged criminally with drunk-driving offenses. 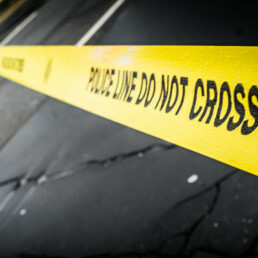 The experience of handling drunk-driving cases both civilly and criminally is critical to locating all sources of evidence related to a drunk-driving accident. Most people incorrectly assume that if they are hit by a drunk driver they will not need a car accident lawyer. They reason that the driver was cited and arrested for drunk driving so the insurance company cannot deny the claim. This reasoning fails to account for a common liability defense, assumption of the risk and the reason why most car accident cases are filed. Why won’t the Judge tell the Jury the Defendant was drunk? 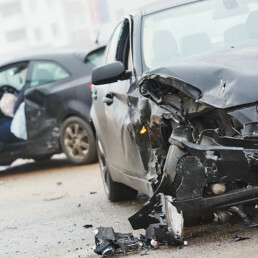 Bowie car accident lawyers, George Patterson and Maria Patterson tried numerous drunk driving accident cases where the jury and the judge were never told the driver had been drinking or convicted of drunk driving. Once a defense attorney admits that his client was at fault for the accident all evidence of drunk driving is excluded under Maryland law. In Maryland evidence of the defendant’s intoxication is inadmissible in a damages-only car accident trial. Komornik v. Sparks, 331 Md. 720 (1993). Evidence of alcohol use should be excluded absent a showing of intoxication. In drunk driving injury cases, if the drunk driver does not testify then the evidence presented is usually limited to the severity of the impact, injuries and lost wages. The jury is then instructed that the only issue for them to consider is what damages, if any, were caused by the car accident. 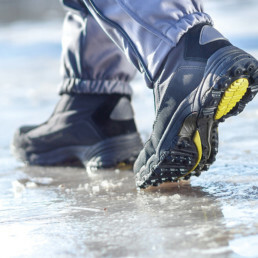 This tactic allows the defense attorney to make the case entirely about whether the impact was sufficient to have caused the alleged injuries, the value of the injuries they admit to causing and whether the claimed injuries could be from an old injury. By admitting to liability, the victim of the accident can no longer rely on a jury to “punish” the drunk driving defendant with a high verdict. The drunk driving car accident lawyers at Patterson Law have litigated dozens of car accidents caused by drunk drivers and they are experienced in presenting cases where the defendant is effectively unable to testify due to his intoxication at the time of the accident. In cases where liability for the car accident is contested then intoxication is admissible. Intoxication as a factor that may have led to negligent conduct renders intoxication relevant in a negligence trial. Mitchell v. Montgomery County, 88 Md. App. 542 (1991). Intoxication is not negligence as a matter of law, but evidence of intoxication is relevant to a causal chain of events that if believed by the jury would constitute negligence. Id. 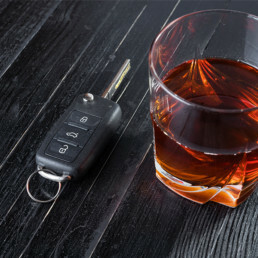 If the defense cannot establish any causal connection between the plaintiff’s drinking and the accident, then the plaintiff’s ingestion of alcohol is not admissible. In Mitchell v. Montgomery County, 88 Md. App. 542, 596 A.2d 93 (1991), the Court of Special Appeals recognized that the issue in cases of this nature is not the use of alcohol itself, but whether or not such use led to some negligent act or omission on the part of the person who had been drinking. 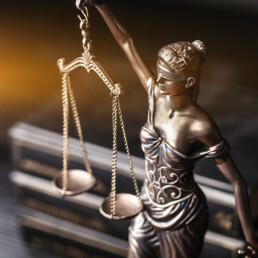 What is required, therefore, in order for evidence of intoxication to be admissible is for the proponent of the evidence to demonstrate some causal connection between the allegedly intoxicated state of the person in question and his or her conduct or behavior. Id., 88 Md. App. at 555. “The Maryland cases have uniformly held that intoxication is evidence of negligence, but no case … has gone as far as saying that mere evidence of intoxication is, in itself, sufficient to show negligence.” Quinn Freight Lines, Inc. v. Margaret R. Woods, etc., et al., 13 Md. App. 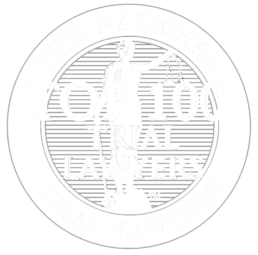 346, 352, 283 A.2d 624 (1971), In Quinn, the Plaintiff, Margaret Woods, had been drinking and was involved in a collision with a vehicle that merged into her path while her view was partially blocked. Ms. Woods was found to have a blood alcohol level of .19 at the time of the accident. However, the Court of Special Appeals found that her blood alcohol level was inadmissible because “[a]lthough Woods had been drinking heavily and had 0.19% of alcohol content in her blood at the time of the accident, there is no evidence to indicate that this in any way was a contributing factor to the accident.” Id., 13 Md. App. at 350. Most victims of drunk driving accidents are surprised that evidence of drinking will be excluded absent diligent work by an attorney. In Wilbur v. Suter, 16 Md. App. 518, 730 A.2d 693 (1999), the Court of Special Appeals upheld the trial court’s exclusion of a fire department report indicating the plaintiff, Suter, had consumed several beers over the course of the afternoon and evening preceding the fire at issue. The Court found that what was lacking to allow admissibility of Suter’s drinking was “… evidence that Suter’s alcohol consumption impaired his sensibilities, which directly caused the fire, or that he did something to the light switch to ignite the fire.” Id., 16 Md. App. at 528. If you were a passenger in a car with a drunk driver, the insurance company may deny your injury claim on the grounds that you voluntarily assumed the risk of your injuries by agreeing to ride with a drunk driver. Assumption of the risk is a complete defense to an injury claim in Maryland. Jury trials involving drunk driving and assumption of the risk involve extensive evidence of drinking. The defense attorney will highlight the excessive drinking and how this drinking and intoxication should have been obvious to the passenger. The insurance company will hope that the judge or jury will find that the passenger knew the driver was drunk and still agreed to ride with the drunk driver. All of the damaging evidence against the driver is suddenly being used as a weapon against the passenger. The drunk driver may have had sobriety field tests administered that are on video. If the driver was obviously drunk it may be difficult for the passenger to contend that the driver appeared sober before he accepted the ride home. The insurance company will likely hire a toxicologist to testify that the driver would have been visibly impaired based on his blood alcohol level. Drunk driving accident lawyers, George Patterson and Maria Patterson have cross examined and called toxicologists as witnesses in trials involving allegations of drunk driving. Maria Patterson as a criminal defense attorney has also cross examined witnesses for the State, including the responding police officers and toxicologists in DUI cases. 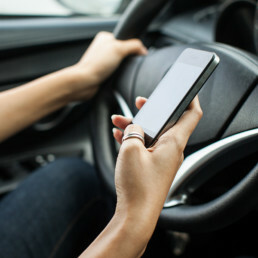 Insurance companies will usually admit that their driver was at-fault for an accident to keep evidence of their driver’s intoxication from getting before the jury. Those injured by drunk drivers have sought compensation from bars and night clubs that served alcohol to the drunk driver. These cases argued that the serving of alcohol to a visibly intoxicated person was a cause of the drunk driving accident. Dram shops are establishments where liquor is served to patrons to be consumed on the premises. A dram is a measurement that historically had been used in the sale of liquor. The Maryland Courts have refused to hold such establishments liable for drunk driving accidents caused by intoxicated customers. The Courts have reasoned that human beings are responsible for their own negligent acts whether they were drunk or sober. An establishment may still be liable for an injury caused by an intoxicated patron on their premises. 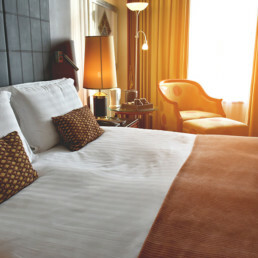 If a business is aware that their intoxicated customer’s routine conduct creates a recurring dangerous condition on the property the business owner has a duty to protect its guests from the danger. 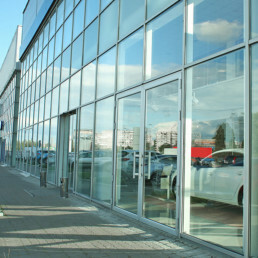 For example, imagine a club that positions customers waiting to enter next to a parking lot where they have previously had drunk patrons leaving the establishment in cars strike the waiting customers. The club may not be liable for allowing the patron to become intoxicated but they could be liable for positioning waiting customers next to a path frequented by drunk drivers. The prior drunk driving accidents placed the club on notice that positioning waiting customers close to the parking lot was dangerous. I trust George's guidance and legal advice that I now have him handling my wife's case. I recommend George to everyone because I know he is worth it. 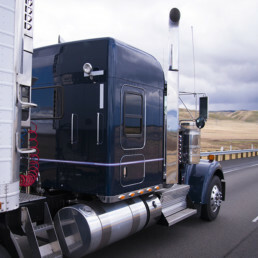 A Car Accident and Truck Accident Client.  Super Lawyers selects the top 100 lawyers in Maryland based on peer reviews that are part of a multi-level selection process. The Bowie drunk driving accident lawyers at Patterson Law serve clients in Prince George's County and throughout Maryland. 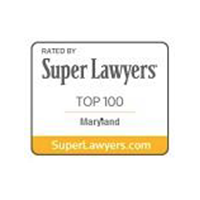 Please call 301-383-1522 to schedule a free consultation with a Top 100 Maryland Super Lawyer. If you were a passenger in a car accident with a drunk driver it is imperative that you retain the services of an experienced car accident lawyer to give you the best chance of prevailing in your case. 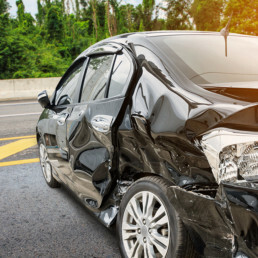 Also if you were injured by a drunk driver the assistance of an experienced car accident lawyer will give you the best opportunity for the best possible recovery. 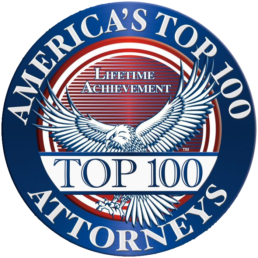 Please call the experienced and top rated drunk driving accident lawyers, George Patterson and Maria Patterson to schedule a free consultation at 301-383-1522. The Bowie drunk driving accident lawyers' office is located near the intersection of Route 50 and Route 301. Please also call the 24 hour injury hotline at 240-893-7474 if you have been injured by a drunk driver or need the services of an experienced DUI defense lawyer.